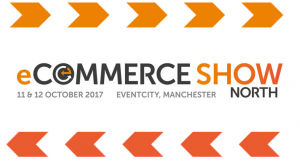 We can today reveal more of the confirmed speakers for the Keynote Theatre at eCommerce Show North, which takes place over October 11th and 12th 2017 at EventCity in Manchester. 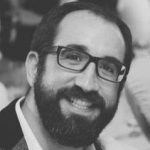 David Pert, head of ecommerce at DWSports.com, Ross Matthews, chief marketing officer at Icelolly.com, and Sebastian Dubois, head of user experience at The Park Group, are three Market Leaders who will be sharing their industry-leading expertise at the brand new event. We've already announced that the Theatre will also feature keynotes from senior representatives from Google, Microsoft, Finch, Rakuten, AO.com, Missguided, Rentalcars.com and Kellogg’s - with more still to be announced across themes including 'Harnessing the Power of eCommerce', 'Logistics' and 'Innovation and the Future of eCommerce'. DW Sports Ltd is in a hugely exciting period of change. Significant investment is being put behind the people, processes and technologies which will revolutionise eCommerce growth as part of a customer centred, omni-channel strategy. As Head of eCommerce David is responsible for the customer experience and trading across all digital channels and (perhaps more importantly) how those digital channels add value to the customer experience in the 80 DW Sports Gyms and 90 DW sports retail stores. 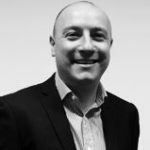 Ross joined holiday price comparison icelolly.com as CMO in January 2015 having previously worked in a variety of ecommerce and digital roles across the travel sector. 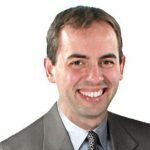 He is responsible for the development of the comparison proposition and marketing strategy with the aim of icelolly.com becoming the UK’s leading holiday price comparison portal. icelolly.com was recently awarded Best Companies to Work For status and won Best Travel Blog at the Travolution Awards 2017. Sebastian has worked previously on large-scale digital projects for a wide-variety of businesses including Tesco, The Football League, 32Red, Arsenal FC, PlayTech, Waitrose and NetJets. Theatre sponsors to have committed to the event so far include leading global ecommerce platform Magento, business support network Business Growth Hub, international payments company WorldFirst, creative and data-driven digital agency twentysix, B2B marketing specialists SteinIAS and global advertising company Finch.